Belinda Anderson has created a world of fantasy for middle-grade readers -- and readers of all ages who enjoy an adventure of magic and suspense. Follow Jackson McKinney, resident of a small Appalachian town (inspired by Alderson, W.Va.) as he engages in a battle of wits in Jackson vs. Witchy Wanda: Making Kid Soup. 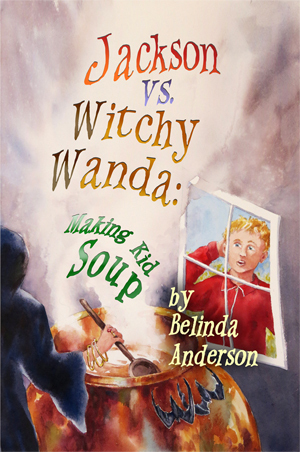 Jackson Vs. Witchy Wanda: Making Kid Soup may be purchased at the website of Mountain State Press or at Amazon.com and ordered from a fine bookstore near you. 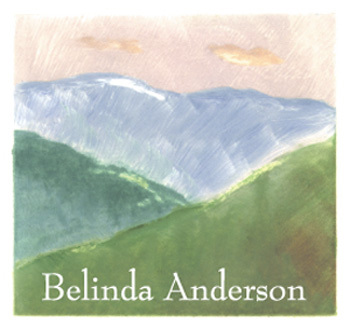 "In her fourth book published by Mountain State Press, accomplished writer Belinda Anderson has created a middle-grade novel that sizzles with suspense. When a witch disembarks from the train in the small town of Glasglen, fifth-grader Jackson McKinney’s life is changed forever. Will he and his classmates find themselves the ingredients in Kid Soup? In this page turner, the bullied, friendless Jackson learns not only resourcefulness and courage, but also the importance of trust—of reaching out to friends." "A wild, wonderful, and witchy ride that will keep young readers hooked until the very last page!" --Gretchen Moran Laskas, author of The Miner's Daughter.